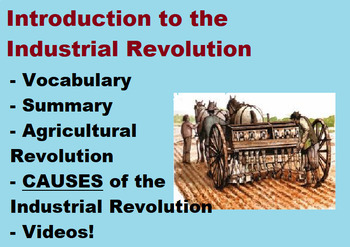 Industrial Revolution- Introduction, vocabulary, videos & CAUSES! FULL LESSON! 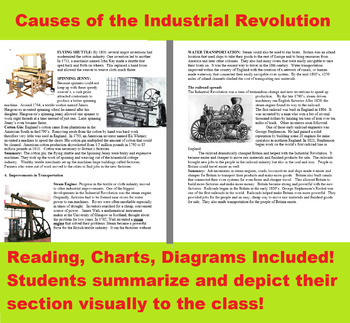 I use this lesson plan as an introduction to the Industrial Revolution. It goes through important vocabulary for the unit in a fun and engaging way. I then move onto showing the students a few videos on the Industrial Revolution as we begin our unit. Students then get an opportunity to do some group work! They read their section in groups and summarize them via chart paper!Students enjoy presenting their sections to the class as well! I use this for both my US History and World History classes! 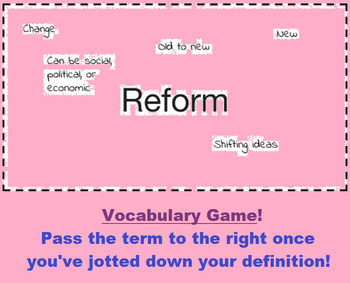 1) Vocabulary- Industrialization, Economy, Immigrant, Urbanization, Labor, Labor Union, Monopoly etc..